Here comes another free 2019 printable calendar, friends! I am so excited to release this newest freebie because it comes in the most beautiful seashore-themed design! Its vibrant colors and unique water elements are really refreshing and calming- they will surely inspire you to plan a blissful 2019. Ready to make your year amazing? Ahhh, it’s another beautiful day here at Shining Mom! Yes, I am releasing another gorgeous 2019 planner that you can use right away! There’s nothing like planning the year ahead, right? What are you waiting for, let’s get started! 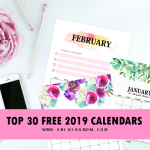 FREE 2019 Printable Calendar: Truly Refreshing! 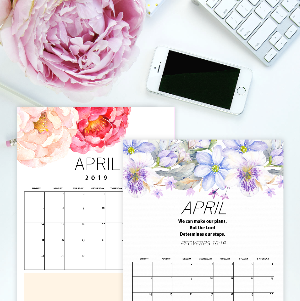 My heart is beaming with happiness to release this beautiful 2019 printable calendar that you all can use for free! If you’re anything like me who’s already super excited to welcome the brand new year, high five! With His grace, let’s make our 2019 extra productive. 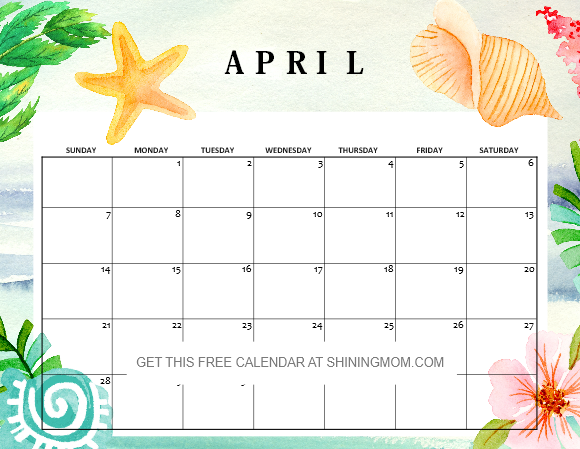 Let’s go map out our goals using this truly calming and refreshing calendar! 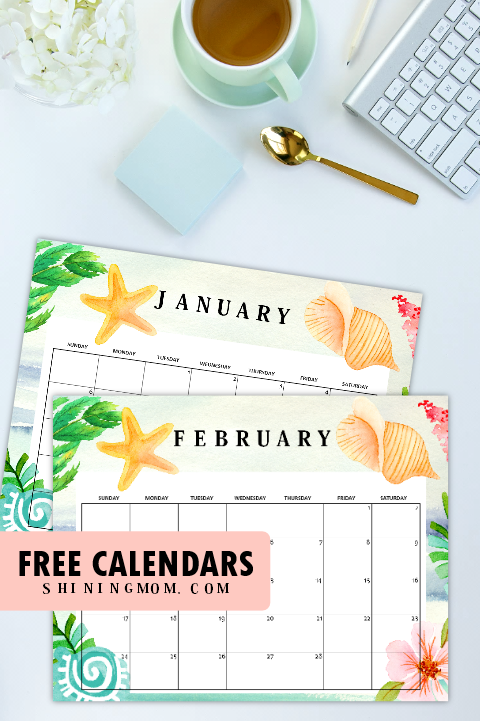 Yup, the 2019 printable calendar that I am sharing today will help bring that calming tropical seashore vibe to your daily planning. 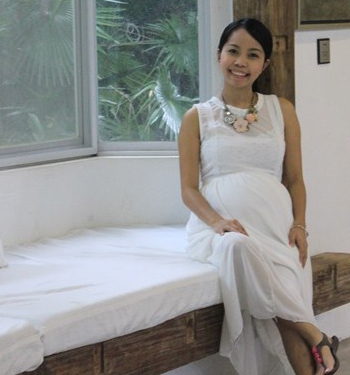 Incorporating the water-themed design elements by Dennise Anne, its unique design will inspire you to have blissful days ahead. Perhaps you’re ready to get started writing your January plans? 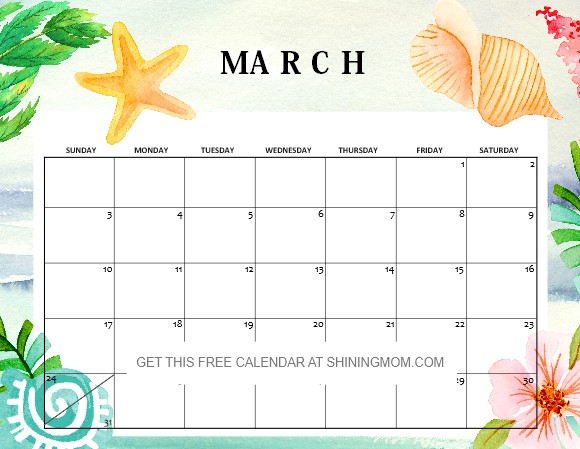 Grab your favorite cup of drink and start brainstorming how you would love to run the month. 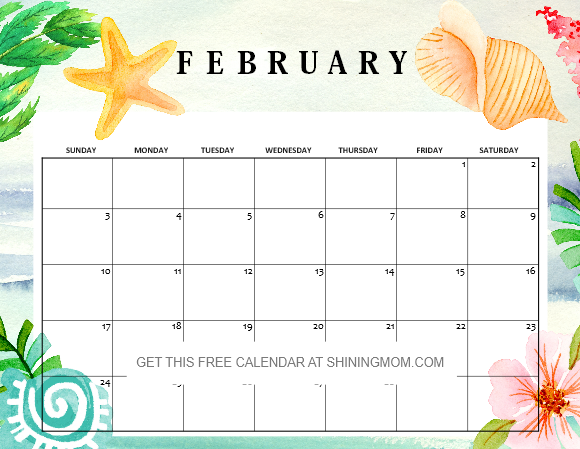 First, recall your January goals in your goal-setting planner and then write your daily action steps to achieve them using the free calendar that I have here for you! 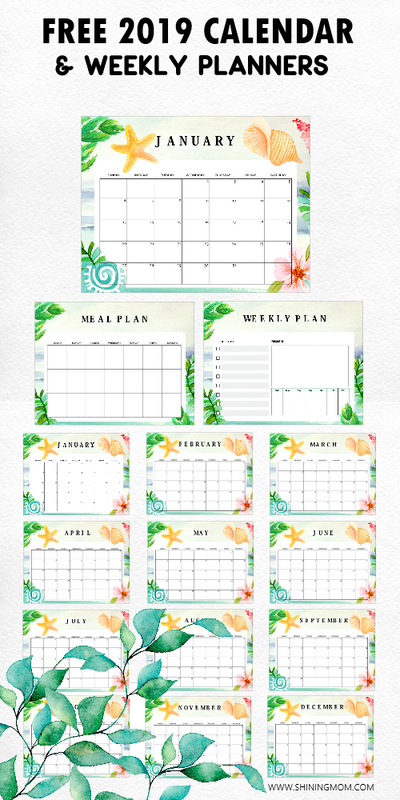 Here’s how each new monthly 2019 printable calendar looks like. So refreshing, right? 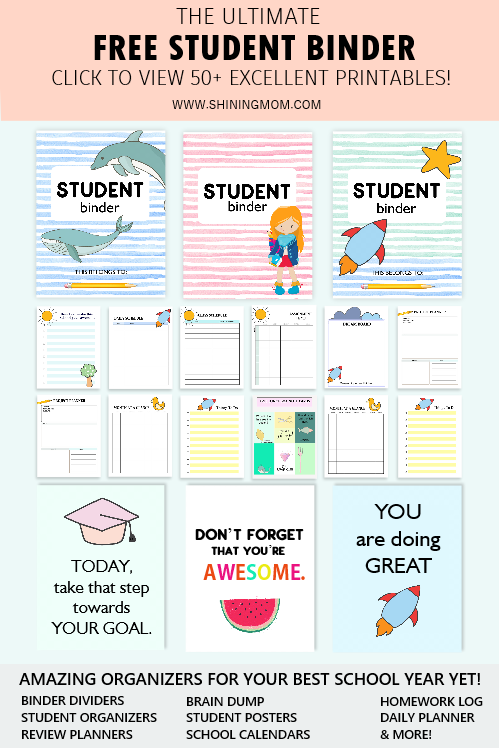 They’re great to use to start the year anew! Let’s have a closer look to the February, March and April calendars. But just so you know, I’ve also included all the monthly calendars for the whole year 2019 in your download, Okay? 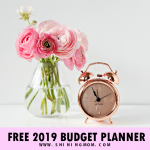 You can use these monthly calendars as your monthly budget planner, blog calendar, office calendar, home calendar and more! I think the calendars are lovely and I can’t wait to use them. 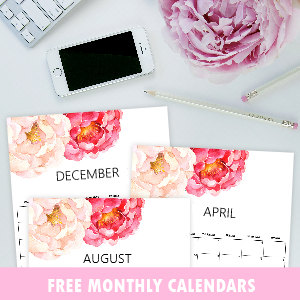 With the so many beautiful free calendars I’ve shared on the blog, choosing which ones to use is a bit challenging now but this design for sure will surely make it to my desktop. 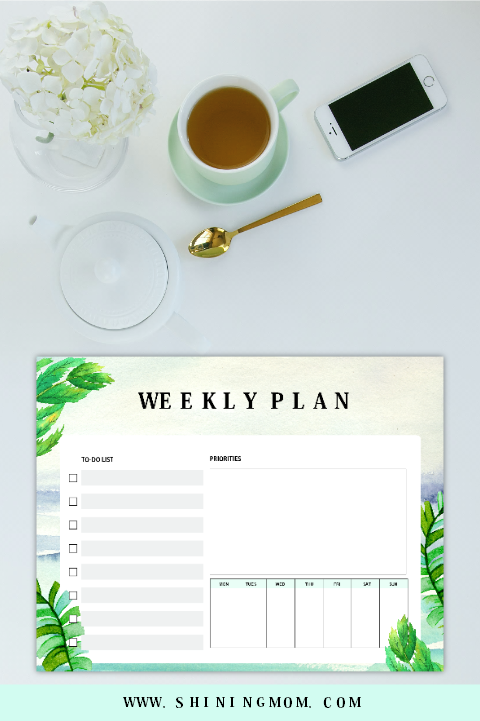 And hey, I’ve also added printable weekly plans to match the calendar and yes, you can also snag them for free! Have a blissful and productive week every week using these beautiful printable templates that I am sharing! It’s safe to say that they’re one of the prettiest weekly planners I’ve shared on the blog, ever! 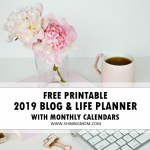 Get Your 2019 Printable Calendar + Weekly Planner for FREE! Excited to use these freebies just like me? Instantly receive the files sent straight to your inbox. 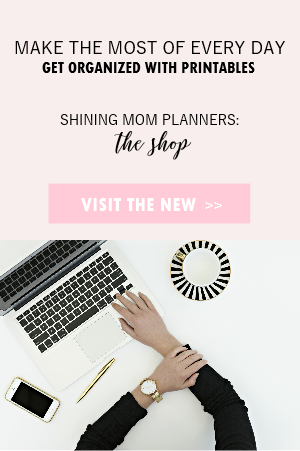 Pop over here to join the Shining Mom mailing list and receive the free monthly calendars and planners! Remember, they are designed for printing in US standard letter-size paper but they also print well to A4 sheets, just make sure to adjust your print to “Fit to Page” setting. Pin this Post at Pinterest! 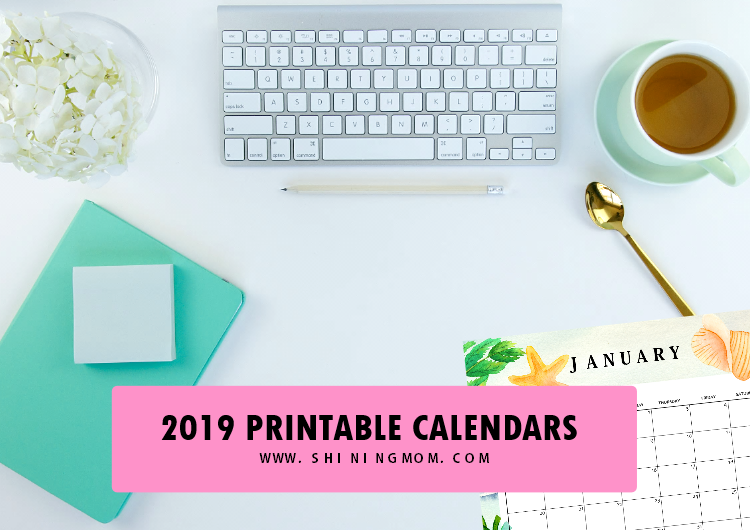 No time to print this free 2019 printable calendar planners yet? No worries! 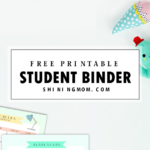 Pin this post at Pinterest to save this freebie for future use. 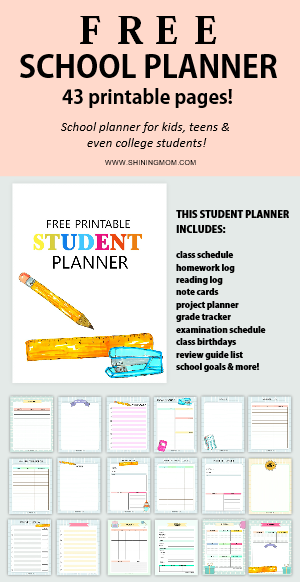 Looking for a 2019 productivity planner, too? Check out The 2019 Success Designer Planner. 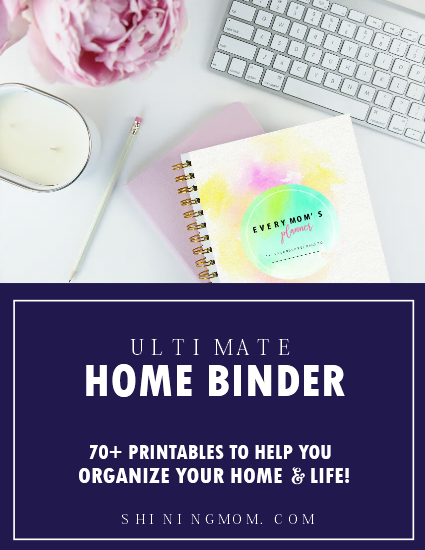 It’s fully packed with over 60 printable pages that will help you set your goals and work on your dreams! Wishing you a truly amazing and blissful 2019! 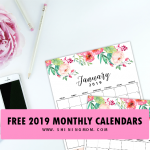 « FREE 2019 Calendar in PDF: Bright & Pretty in Gold Theme!